Bravo Company Manufacturing’s KMR is revolutionary in how it uses advanced alloys and design to reduce weight. The problem is that they have not been able to keep up with the demand for the KMR due to the short supply of the alloy used in its construction. 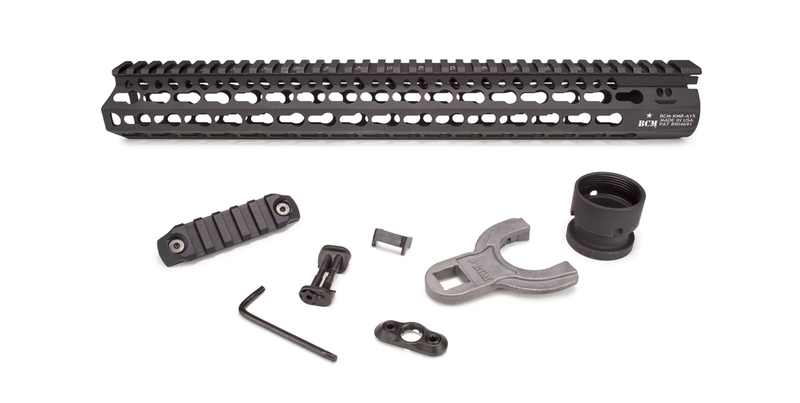 Their solution will be the introduction of the KMR Alpha – a rail with many of the same great features and relative lightweight but easily available aluminum construction. The KMR Alpha will be available in 15, 13, 10, 9, and 7″ lengths. Each length weighs only slightly more than the magnesium alloy version of the KMR yet they cost significantly less. The prospect of more easily available and lower cost KMRs is exciting. I suspect that BCM will have a hit on their hands with the introduction of this new version of the KMR. The new KMR Alphas are already listed on the BCM website but they are currently unavailable. Stay tuned for release information. Any rumors of a KMR for 7.62 platform?